San Diego, Calif. – June 6, 2016 – Endurance Sportswire, the only press release distribution company specifically for the running, cycling and triathlon industries, today announced its partnership with PR Newswire, the leader and pioneer of the commercial news distribution industry. With the new partnership, Endurance Sportswire has created a one-of-a-kind press release distribution package that combines its exclusive targeted distribution to endurance sports media and industry contacts with a PR Newswire syndication to thousands of websites. Since launching over five years ago, companies in the sports industry have trusted Endurance Sportswire to distribute over 7,300 press releases. To celebrate the launch, Endurance Sportswire is offering $10 off any single press release purchased between June 6-19 using the coupon code SAVE10. With Endurance Sportswire’s new Premium Package, companies can now get their news syndicated to over 4,500 websites and featured on Yahoo News, AOL, ABC, FOX, NBC, CBS, CNN Money, Bloomberg and many more quality media outlets AND distributed to Endurance Sportswire’s targeted list of over 7,000 reporters and industry insiders in the running, cycling and triathlon industries. Please go to http://www.endurancesportswire.com/products for more information about Endurance Sportswire’s press release distribution offerings. 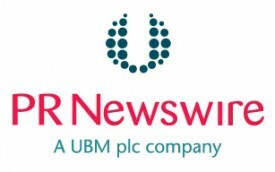 PR Newswire (www.prnewswire.com) is the premier global provider of multimedia platforms that enable marketers, corporate communicators, sustainability officers, public affairs and investor relations officers to leverage content to engage with all their key audiences. Having pioneered the commercial news distribution industry over 60 years ago, PR Newswire today provides end-to-end solutions to produce, optimize and target content — from rich media to online video to multimedia — and then distribute content and measure results across traditional, digital, mobile and social channels. Combining the world’s largest multi-channel, multi-cultural content distribution and optimization network with comprehensive workflow tools and platforms, PR Newswire enables the world’s enterprises to engage opportunity everywhere it exists. PR Newswire serves tens of thousands of clients from offices in the Americas, Europe, Middle East, Africa and the Asia-Pacific region, and is a UBM plc company. Endurance Sportswire (www.endurancesportswire.com) is the only press release distribution service specifically for the running, cycling and triathlon industries, and the best source for endurance sports industry news, jobs and announcements. From sponsorship deals and product launches to event happenings and a sprinkling of industry gossip, Endurance Sportswire keeps readers current on the comings and goings in the business of endurance sports.